Love the London Bridge Experience & London Tombs? Love dressing up and acting? Then you’ll love being for a zombie for the day at London Tombs. 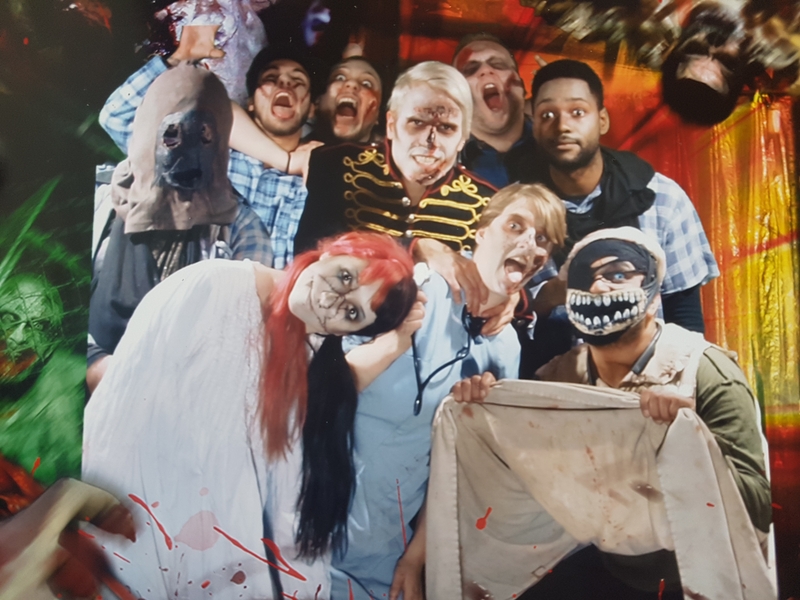 Anyone can spend a day in the world famous haunted site of London Tombs and become a zombie where you will experience life behind the scenes as a scare actor! During the day you’ll learn how to apply specialist FX make up and become a zombie in the vaults of London Bridge. Lunch is included including a T shirt and souvenir photo to take home at the end. On top of all that you will become a zombie and scare the general public in LIVE shows! Want to be a zombie you can purchase at London Tombs. Tickets just to visit The London Bridge & London Tombs can be purchased via The London Bridge Experience or on the gate. I and Steve had the opportunity to be a zombie for the day and we loved it get links to our blogs below. When my dream of being a zombie became true. London Tombs is such an iconic thing to London, that no one should visit the city without having a visit to this experience. It starts with some great true history about London bridge and the area around it. There is a great room with a model of the original wood bridge where people lived, and seeing it built gives you real perspective on the bridge. Once you have had your history lesson, the fun really starts, and I’ll give no spoilers here- you’re in for a few good scares!